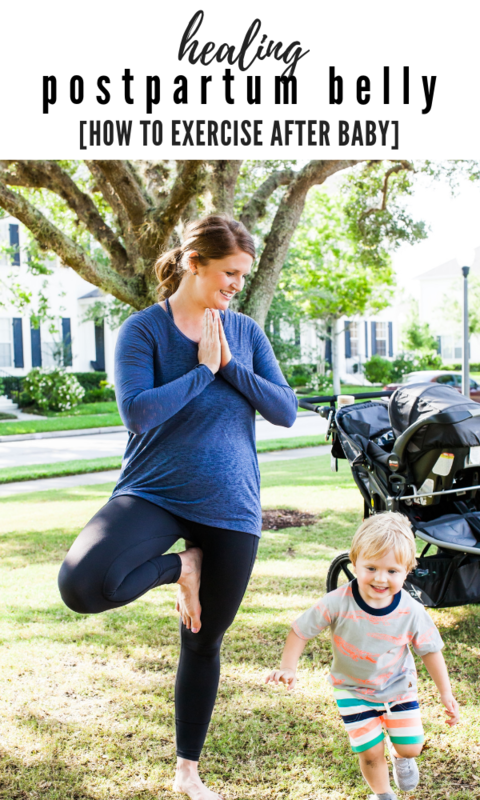 How to heal postpartum belly. Have a mommy pouch? Get the 411 on wearing a postpartum girdle and healing diastasis recti after having a baby. 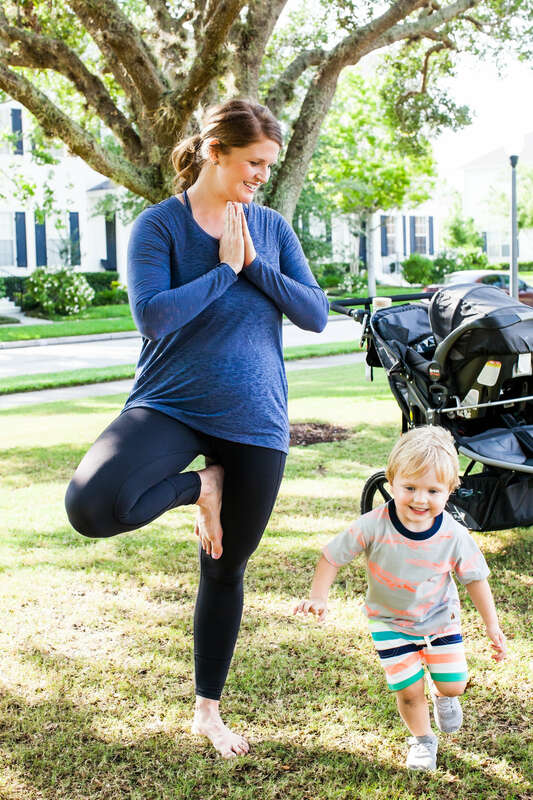 If you’ve been following along on Instagram or in our A Modern Motherhood Collective group on Facebook, you may have learned I’ve been working on my postpartum belly by healing diastasis recti and strengthening my pelvic floor after birth. Chalk it up to things they don’t tell you about before you have a baby. Postpartum hair loss, pelvic organ prolapse, and diastasis recti (a separation of your abdominal muscles). Ya, know. #momlife. Read more about my natural birth story in the elevator with baby 2 and my marathon induction with baby 1. I felt like my body was broken. As a runner and lover of all things intensity (read: marathoning, triathloning and CrossFit), being told by doctors that I couldn’t do high impact activities, lift heavy things or certain abdominal exercises was not what I wanted to hear. Apparently, when my last baby fell out on the elevator, so did the rest of my body. So after being evaluated by a PT, I knew I had to work on healing my postpartum belly and strengthening my pelvic floor. 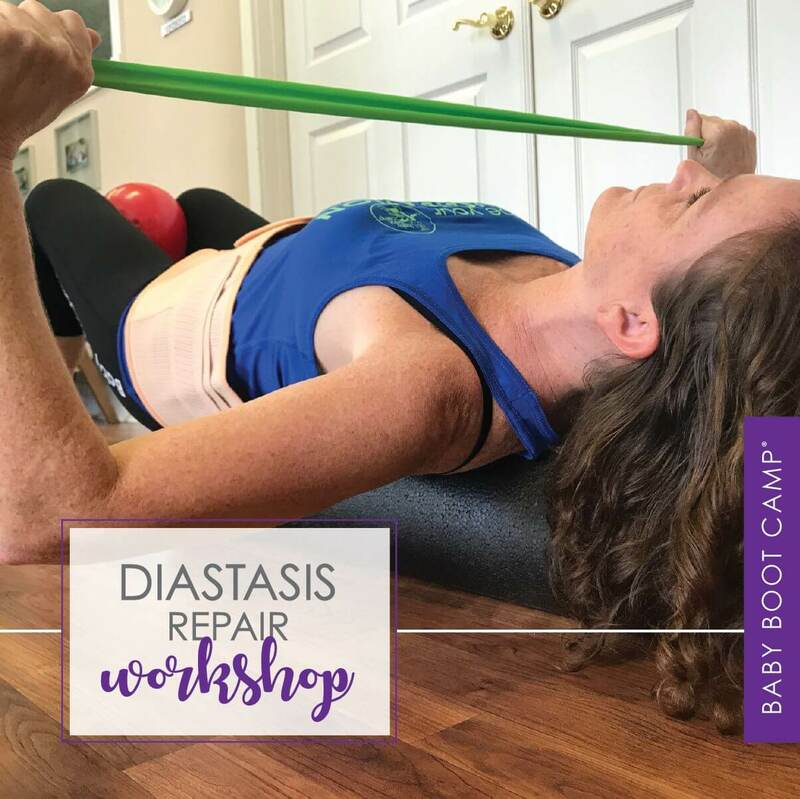 When I learned about Baby Boot Camp’s Core9 Diastasis Repair Workshop, I knew this was something that I desperately needed and a step in the right direction to healing. 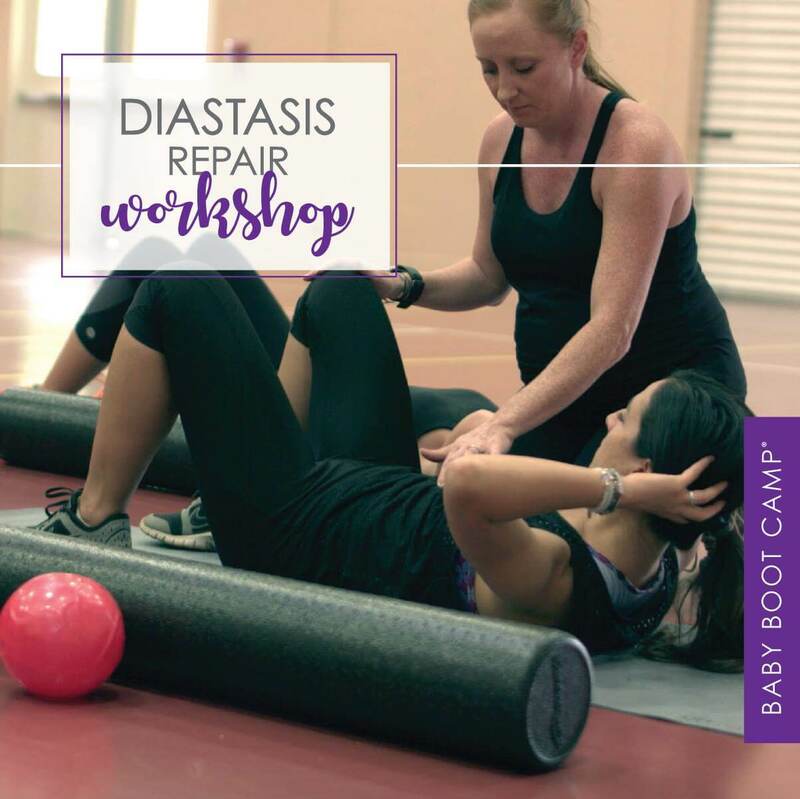 If you find yourself struggling with your mommy pooch not going away after birth, you could be experiencing separation of your diastasis recti. Most doctors and OB’s are not checking patients for DR, so it’s important to ask questions and get a referral to a Physical Therapist that specializes in women’s health. PTs provide an assessment and internal evaluation for postpartum healing and recovery. Even if you had a c-section you can still have issues with pelvic floor and diastasis recti because of the baby bearing down on pelvic floor and stretching of the abdominal muscles to make room. 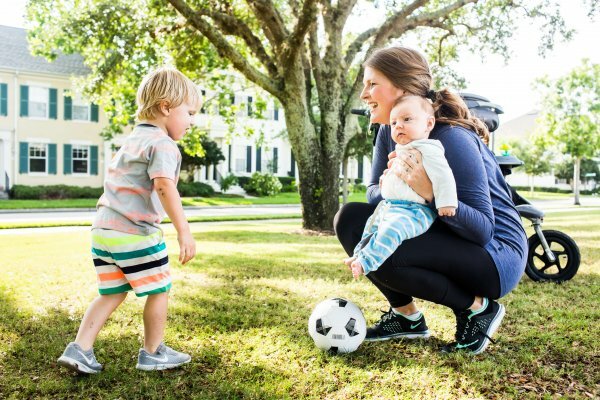 DYK not only do postpartum women suffer from DR many athletes who overtrain can create a separation. While it is not life threatening it can lead to a host of other health and pain concerns like low back pain, over compensation of other muscles, lack of protection organs, poor balance, stabilization and/or hernia. Strengthen the core to be stronger throughout. Empower each mama to be stronger and connected to your body through breath and body awareness. Healing separation in connective tissue of the diastasis recti muscles through proper exercises modifications and wearing postpartum belly binder. Yep, never did I think I’d be wearing a girdle postpartum. Again, things they don’t tell you about having babies. You may be asking, what is a postpartum girdle? 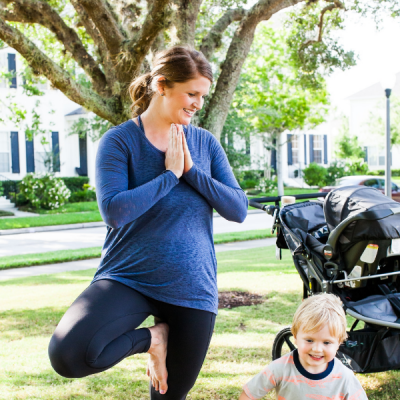 A postpartum girdle is an abdominal binder that helps postpartum mamas engage with their inner core to become more aware with strengthening and restoring the core muscles to close the gap in diastasis recti. Is it too late to wear a postpartum girdle? If you are less than 8 weeks postpartum, it’s important to wear a postpartum girdle or belly wrap, while doing any housework, reaching, or bending over up to a max of 2 hours per day. But many women continue to struggle with diastasis recti and need a belly wrap to retrain the muscles and pull them back together. Can you wear a postpartum girdle too much? Yes! You can overwear a belly band if you wear it for too long or too often it may result in insufficient re-training of your rectus abdominis muscles, transverse abdominis muscles and may cause your DR not to heal properly. So yep, too much of a good thing is not a good thing. 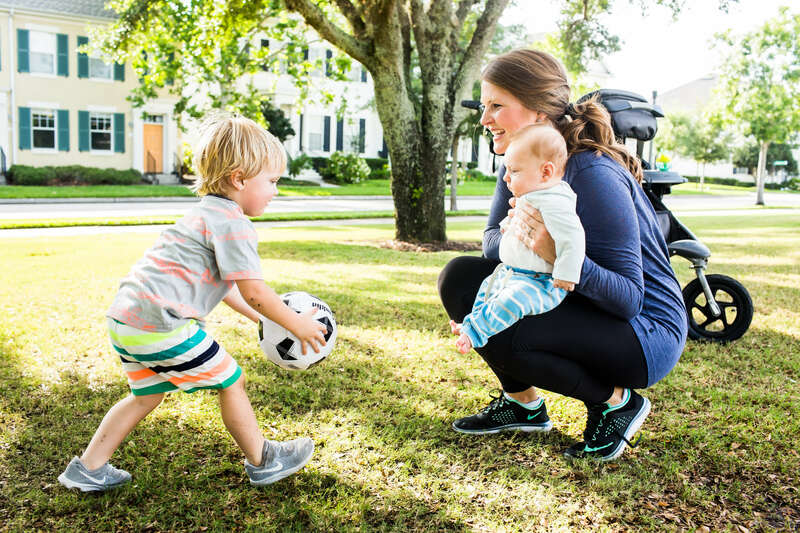 It’s hard to know what exercises are safe after giving birth, which is why I turned to Baby Boot Camp and my PT for the answers. 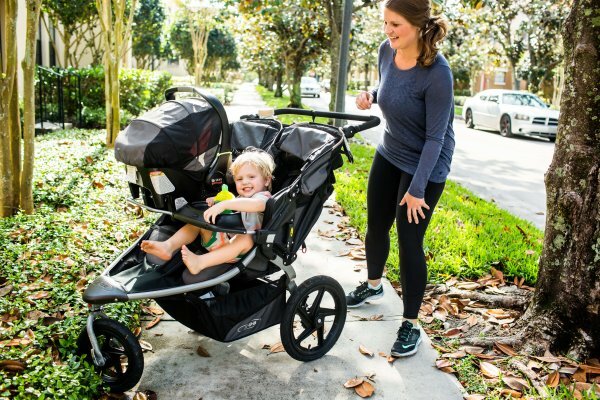 Because everybody’s body is different it’s important to get the go ahead for postpartum exercise from your doctor. 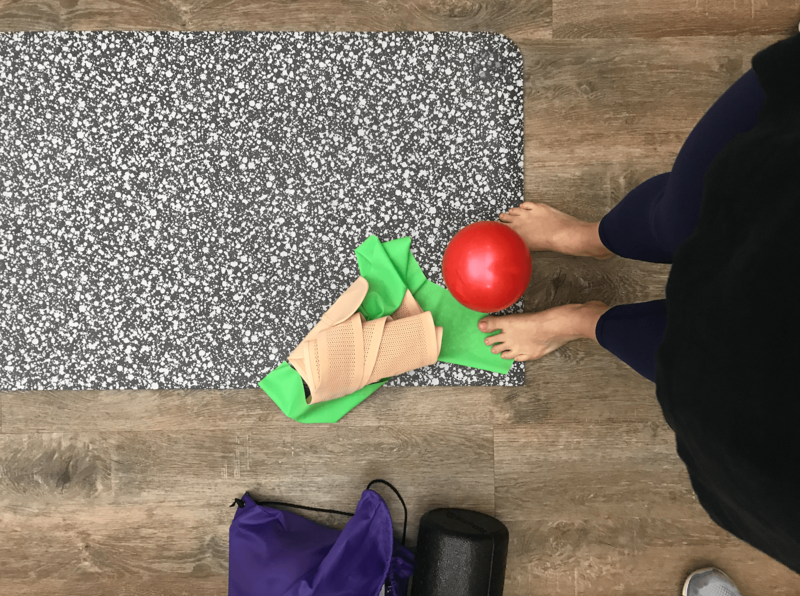 It’s not advised to do high impact activity until 16 weeks postpartum and while you may or may not have DR you want to ease back into strengthening your core and pelvic floor with proper form and exercises. 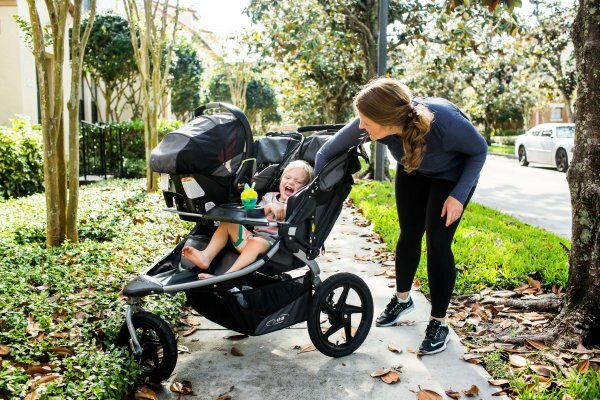 Some exercises can exacerbate separation, which is why you want to be safe and effective when jumping back into your fitness routine after baby. The three months after delivery is often referred to as the 4th trimester. Childbirth is a traumatic event and a shock for the body, however most women don’t receive the support they need to care for themselves after baby and are left trying to figure out how to heal their postpartum belly and body. It’s important for us to be our own advocate, ask questions, get referrals to specialists and take charge of our health. 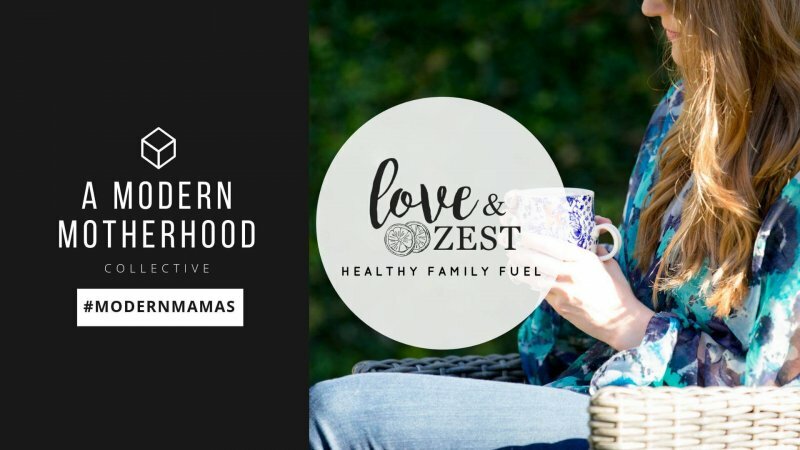 With so many mamas struggling with finding the answers about their “new normal” and postpartum body, I felt the camaraderie and experience of being able to chat “real talk” with fellow mamas at the workshop super refreshing. 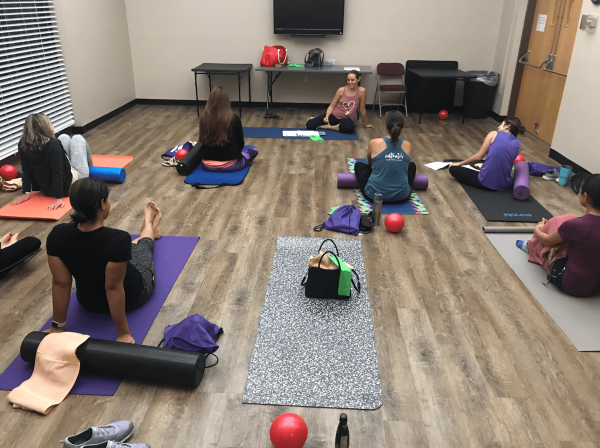 This workshop helped me to find answers about my body and connect with my PT. We received personalized attention and corrective exercises and support. Before taking the Core9 Diastasis Repair workshop, my abdominal muscle separation was a “3” but I can happily report at 10 months postpartum I no longer have DR! If you want to know more about my postpartum recovery, prolapse repair, and details about that drop a comment below or send me an email. 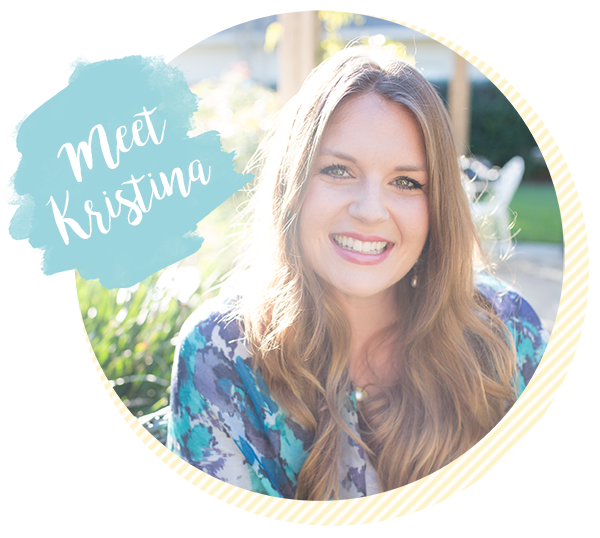 I’m happy to chat because I know how alone you can feel trying to research postpartum recovery and how to heal postpartum belly. 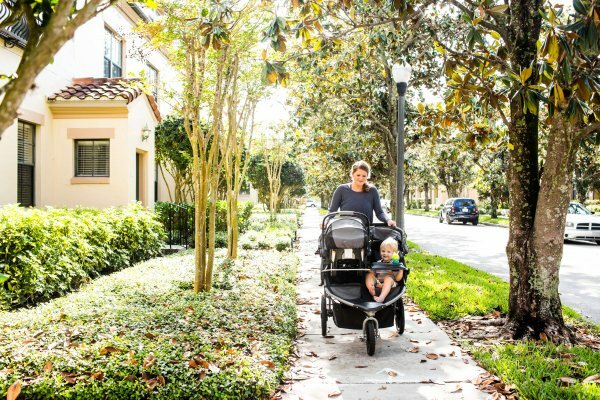 For more motherhood and baby happenings, check out these posts. 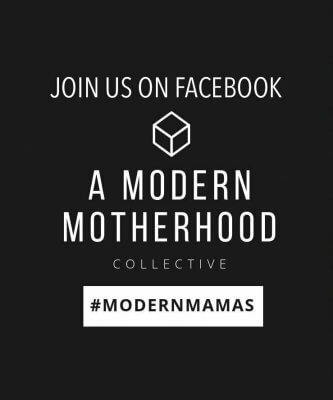 And if you are a mama in the midst of raising littles, I’d love for you to join our private Facebook group, A Modern Motherhood Collective.